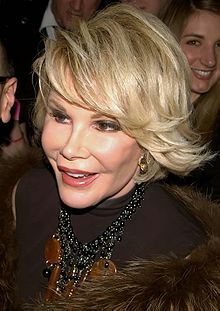 The recent passing of 81-year-old comedian Joan Rivers has left both friends and fans mourning and estate planning experts cheering. Not because she’s gone but because she did a fabulous job estate planning-wise. She had a complete and updated estate plan, unlike the many Hollywood stars we learned lessons from in this post. Rivers had a simple estate plan, with no spouse, most all was left to her daughter. This estate plan specifically included a plan for her beloved dogs via what’s called a Pet Trust which you can read about in our GQ Law blog post from February of this year. While many pet owners don’t even think to include a provision for their pets in their estate plan, we at GQ Law think it can be very important. Like Rivers, pet owners can create such a pet trust to ensure that their pets are well cared for not matter what. Such a trust allows pet owners to list a specific individual as the caretaker of the pets and also allot money to be used exclusively for the care of the pets throughout the duration of their lifetime. According to this article on dailyfinance.com, the popularity of pet trusts is on the rise. While some may see Joan Rivers’ last wishes for her dogs as comedic, pet lovers will see it as a model to help them ensure their pets are properly cared for should something happen to the owners. Call our office today to set up an appointment to get your complete estate plan started. The initial visit is free and our experienced team will be able to help make sure your entire estate, pets included, is well planned for. Call us now at 858-549-8600 or 855-MY-GQLAW or request an appointment online here.